Могущество в знании, и книга - главный источник познаний. И не только их... И это характерный вид такого рода книги, которая дарит новые сведения о военном деле, рассказывает о некоторых методах познания военной истории - "Audel Guide to the 2011 National Electrical Code. All New Edition"
The NEC is updated every 3 years with some of the anticipated changes include new requirements to sections while some of the changes include entirely new articles. Some changes are revisions to existing requirements while others are deletions to some existing requirements. As with the last edition of this book the author will use an icon or other graphical feature to highlight all changes to the 2011 code from the 2008 version. The book is considered an easy reference tool for those individuals on the job in need of a handy reference without the bulk and formality of the code itself. Significant changes to wiring and protection sections as well as new coverae of hybrid electric vehicles and small wind turbine power generators are being made. As always there will be numerous small changes made throughout the book. In short if a change has been made to the code it will be covered in this book in an easy to read instructional way. 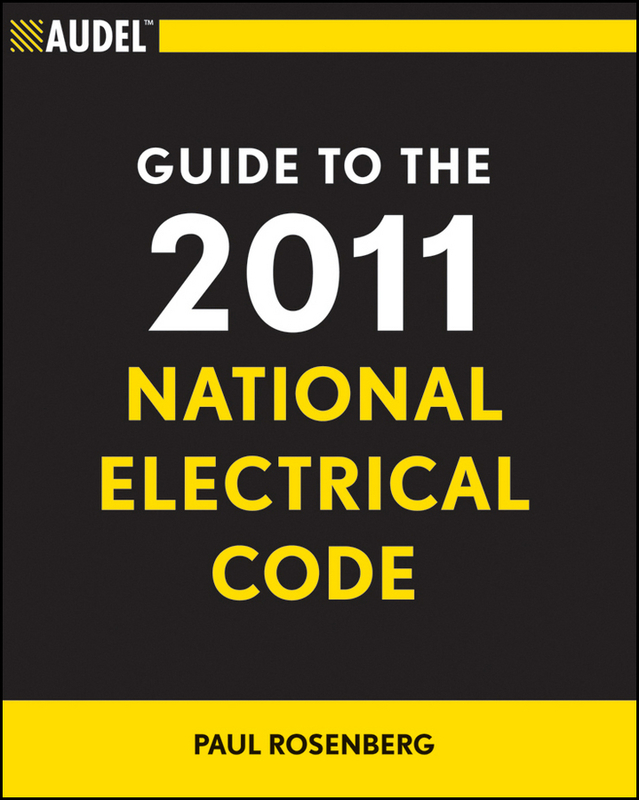 Выражаем надежду, что "Audel Guide to the 2011 National Electrical Code. All New Edition" окажет вам помощь в познании данной области, даст пищу для ума и поможет в решении специфических исторических проблем.